Westend Laser Clinic, an approved ELOS Skin treatment clinic right here in Ottawa. Many customers choose us to help with past acne scarring or blemishes because of our cutting edge technology to help repair and rejuvenate the skin, even in the most extreme conditions. If you have suffered from scarring, uneven skin tones or fine lines, then this Sublative skin treatment from Syneron Candela could be the answer you have been looking for. This is the only technology proven to reduce moderate to severe acne scars for all skin types. The Sublative™ RF applicator is designed to deliver radiofrequency energy to the skin in a fractional manner, via an array of multi-electrode pins. The array delivers bipolar RF energy to the skin. Microscopic zones of epidermis and dermis are thermally ablated in a grid over the skin surface, where non-ablated zones serve as a reservoir of cells that promote rapid healing. 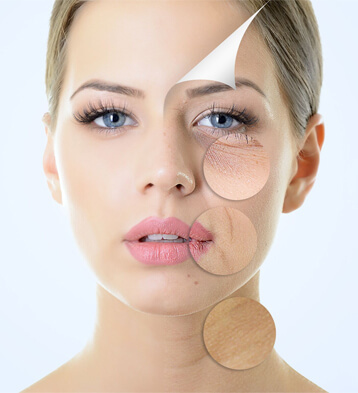 If you are looking to reduce the appearance of wrinkles, then the Sublime RF technology treatment is now available in Ottawa from Westend Laser Clinic. After a series of sessions, this exclusive facial contouring treatment often results in people enquiring whether patients have had a facelift! The treatment works by heating the dermal tissues in precision with the bi-polar RF technology stimulating your body’s natural collagen production and reverses the signs of ageing without downtime. IPL stands for Intense Pulsed Light, also known as photorejuvenation or the photofacial. Treatments are performed at doctor’s offices and medi-spas, and can be fantastic for erasing mild sun damage, freckles, irregular pigmentation and light brown spots on the face, neck and chest. In a nutshell, IPL treats the skin with quick and powerful flashes of light. The light energy then penetrates below the skin’s surface, where the unwanted brown pigment (melanin) lives. The heat breaks down this pigment into tiny particles, which either rise to the skin’s surface as scabs (naturally sloughing away within a week or so), or get carried away by the body’s lymphatic system. I’m sure you’re wondering about downtime. There is none! Because IPL uses multiple wavelengths of light, it is not technically a laser—so it works without causing any deep resurfacing, just some minor redness.